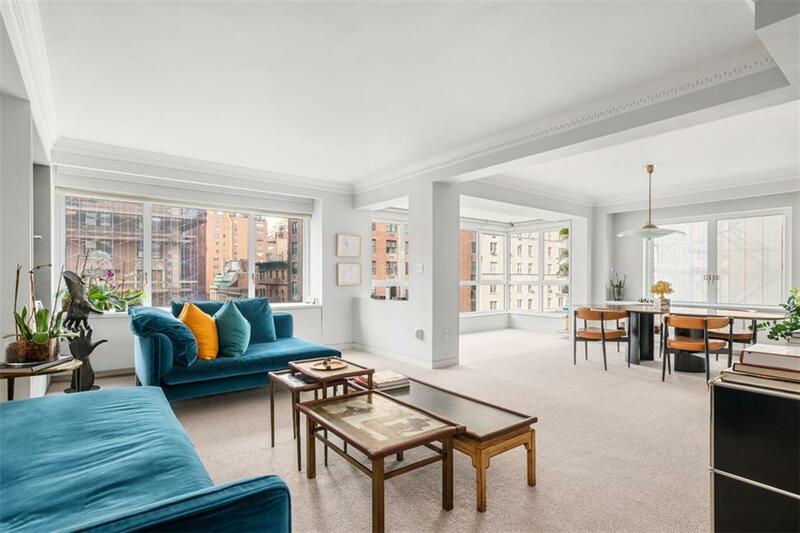 Park Avenue/65th Street Magnificent five room home in mint condition. 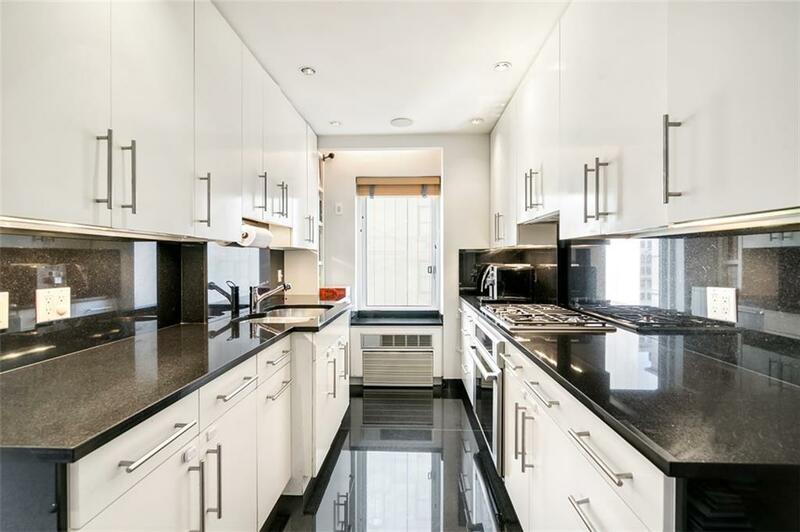 This 2 bedroom home with dining room has been completely renovated. 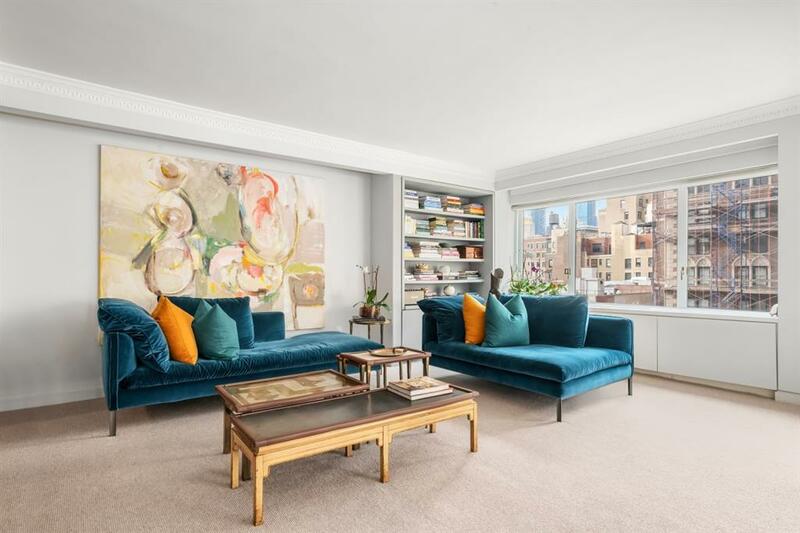 There is a gracious entry foyer/gallery with custom closets and an entertainment area consisting of a built in wet bar with wine cellar and compact Subzero fridge with 2 drawers, as well as a pantry closet.The Living room and dining room are enormous and there is also an enclosed solarium with North/West views of Park Avenue and beyond.The large Master Suite has a private hallway with more closets, including an enormous walk in and built in custom shelves for clothing shoes and all your needs on the opposite side. The marble Master bath has been enlarged and has a wide soaking tub and a separate stall shower. There is a washer dryer in the home.There is a new Windowed kitchen with granite counters and floors a subzero refrigerator and great appliances. The second bedroom has beautiful northeast views and a large closet as well. There is also a storage unit which costs $25.00 per month There is a capital assessment $264.92605 Park is a full service building with a garage. The building has installed new windows. 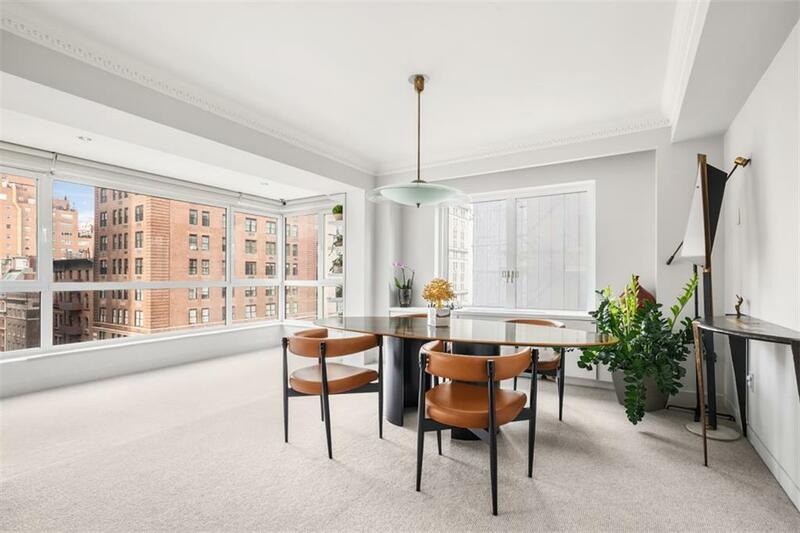 There is a gym and a beautiful landscaped outdoor deck for the residents.Located in the Gold coast of the upper east side you are but a short walk to Central Park, the finest department stores and specialty shops. There are world class restaurants and all amenities that would make a neighborhood stellar.Welcome home! Listing courtesy of Marlene Steiner of Compass.